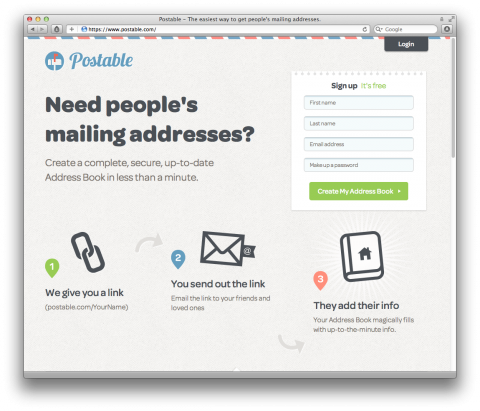 Postable is a new service that makes it super easy to get people’s mailing addresses. Great for weddings, baby showers, birth announcements, holiday cards & even just knowing where your friends live. Great tool! i’m using and recommend. Amazing and a great idea! I love it. Blogged about it too!